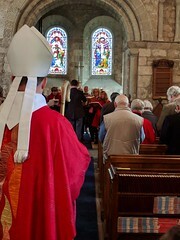 On Palm Sunday morning the Right Reverend Graham Usher, The Bishop of Dudley led the worship at Knighton Parish Room and Knighton Church. At the Parish Room, children from Lindridge St Lawrence Primary School, and elsewhere, sang songs learnt through recent assemblies with Rev Ted and they sang them beautifully. The Bishop talked about the story of Holy Week and the children enacted this story and walked through the congregation at the Parish Room shouting “Hosanna”, “Blessed is He”, and ululating in celebration. 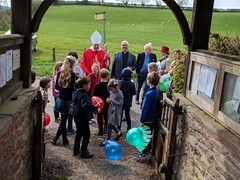 The congregation then processed to the Church with balloons and palm crosses, where Lindridge Choir greeted them and where we joined together for Holy Communion. To finish our Palm Sunday celebration the Choir sang “The Ukrainian Orthodox Hallelujahs” and “Thuma Mina” (Send me, Lord), which was extremely moving. If I were to ask you what’s the most well-known word in human language, I wonder what you’d say? I’ll give you a hint: it’s a religious word. And it’s a remarkable one. 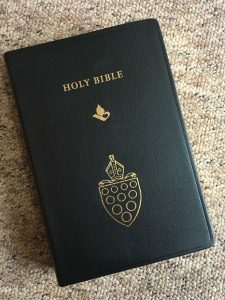 It was transliterated from the original Hebrew into New Testament Greek, and then into Latin and then into English and lots of other languages. It’s used by Muslims as well as Christians and Jews. You may have guessed what it is by now – if you haven’t, I’ll put you out of your misery. It’s the word ‘Amen’. In the Old Testament, Amen is an acronym meaning “God, King [who is] Reliable, Trustworthy.” So it means every time we say the word ‘Amen’, we have grasped something about the reliability of God. How can we know that God is sovereign, that God is trustworthy, that God is reliable? Well, supremely through the resurrection of Jesus, which we celebrate at Easter. In that resurrection we see that the love of God, which created us, which sustains us in being, is more powerful than any other force in all creation. But it will overcome pain and evil, will conquer even death itself. 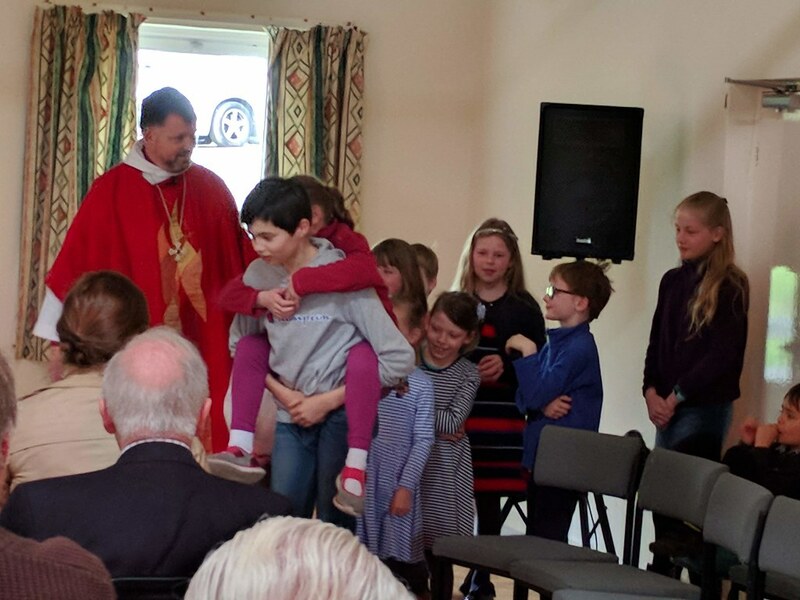 In our spoiled world, threatened with disaster as never before as a result of global warming; in our divided nation, still wrangling over Brexit and seemingly no nearer to a solution, we need something reliable. We need look no further than the love of God. When we’ve grasped something of that love, everything else will be put into a different perspective, a Godly perspective, a joyful perspective, an eternal perspective, an Easter perspective. If we have grasped that then we shall be able to say amen, not just with our lips, but with our whole lives as we reflect some of that reliable, trustworthy love of God in everything that we do and everything that we are. 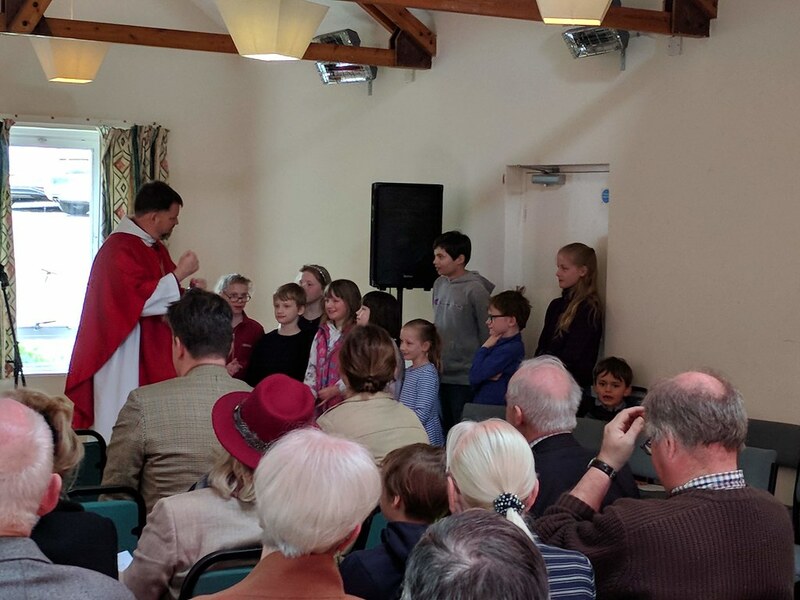 If we can manage that then a great cheer of ‘Amen’ will go up from heaven, from the heavenly host all rejoicing, not only in the reliable love of God, but in the reliable love that we have for God and neighbour as a reflection of it. 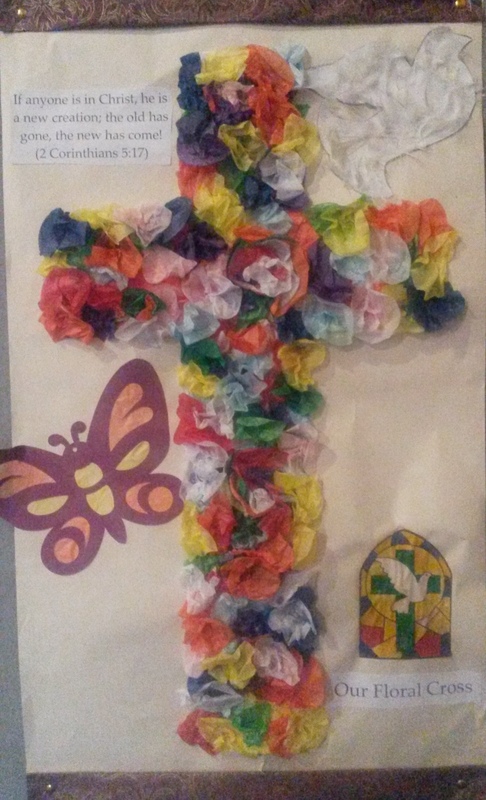 May God grant you a joyful and blessed and glorious Easter. Amen! If you have not entered and still wish to join – please contact Robin Dean on 01886 853 295 or at robin.c.dean@gmail.com or your local coordinator. It seems to me that certain key truths in our lives are beyond words. 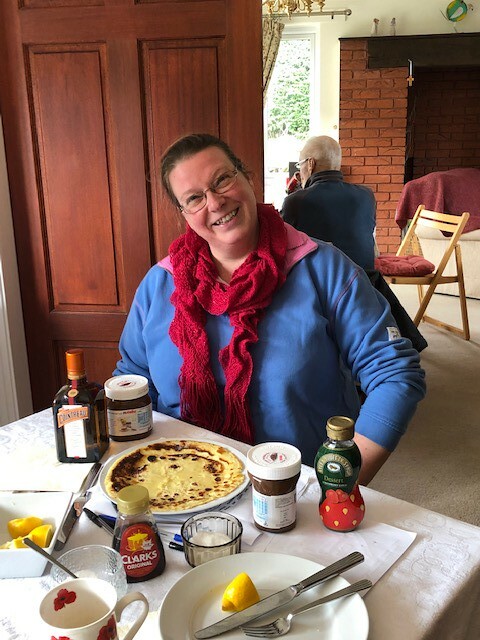 Not for nothing has the Church brought poets, hymn writers, painters, artists and musicians into its life to express what words are not adequate to say. The same happens with those we love. We use signs and symbols to say what we mean – sometimes we say it with flowers. Our presents are not judged by their monetary value, indeed the smallest gift can be the most affecting: it is the love they express which counts. The mystery of Good Friday and Easter is one such key truth. We tell the story from the gospel accounts and can point to the after-effects in the lives of the apostles. 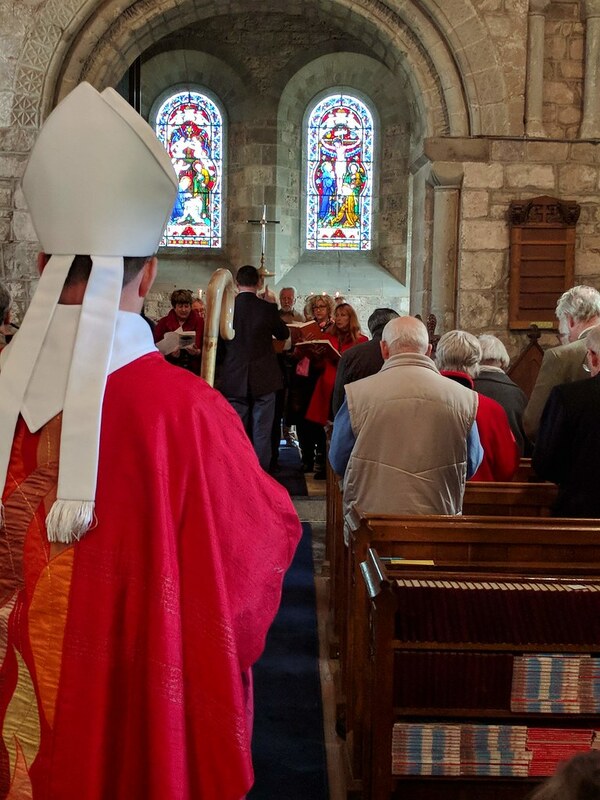 We journey with Jesus as he walks the walk to the Cross through the services of Holy Week, and with flowers and Alleluias our churches burst into the new life He gives on Easter Day. In doing so we glimpse the glory of the God for whom death does not have the last word, not ever. Jesus does not just tell us this: he lives it, you could say he dies it, and is raised from the dead by the God for whom the first and last word is always Love. 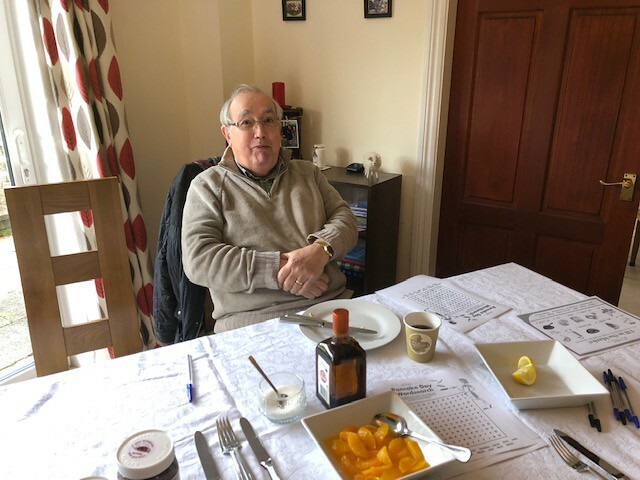 On “Shrove” Monday (yes Monday! ), the Rectory was filled with activity and good appetites. A wonderful way to meet and chat together and enjoy pancakes – there was a great production line going, from mixing batter to cooking, serving and, of course, eating. 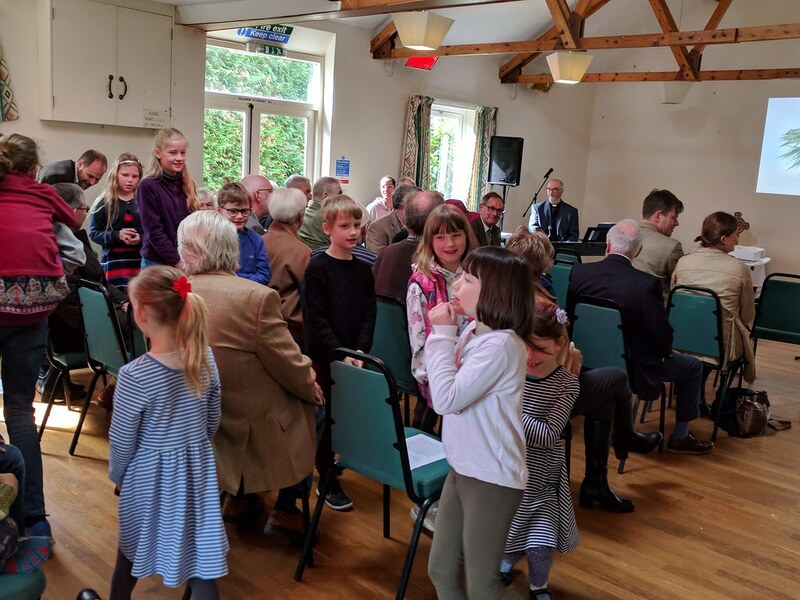 Thank you to everyone who helped in any way and also to those who came and enjoyed the end results and all who generously contributed to the informal collection – we were able to donate £80 to the Children’s Society. 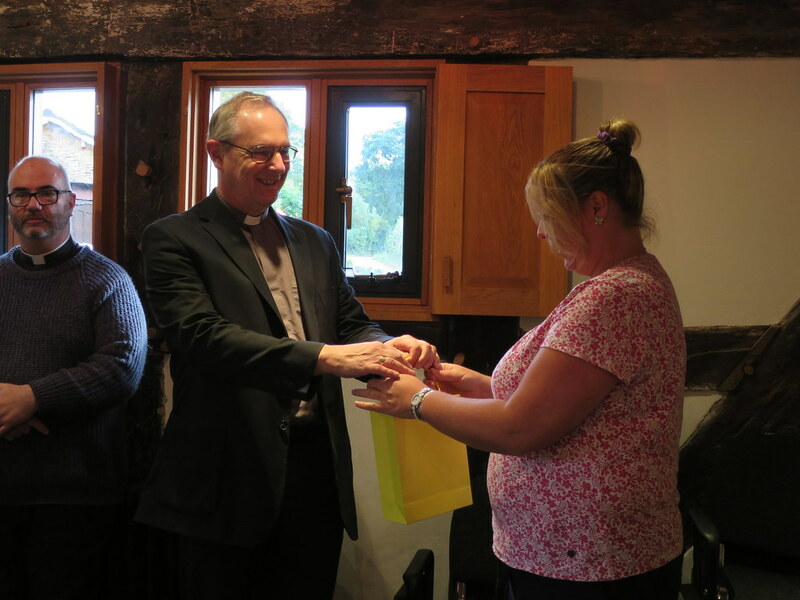 Thanks also to Rev Ted and Caroline for opening their home to everyone. 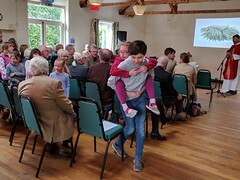 A new series starts in April – please contact Robin Dean on 01886 853 295 or at robin.c.dean@gmail.com if you wish to join and have not been approached by your local coordinator. Driving to church one Sunday morning recently I heard a report on the radio about ‘slow art’. 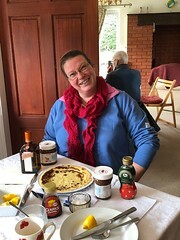 Not something I had considered before, but I discovered there is a Slow Art Movement, and a Slow Art Day (6 April this year), with a mission to help more people discover for themselves the joy of looking at and loving art. Henry David Thoreau said, “It’s not what you look at that matters, it’s what you see.” The idea of looking slowly is to make discoveries and experience creativity in new ways. Statistically, visitors to galleries view art masterpieces for an average of just 17 seconds, which is perhaps unsurprising in our fast-paced, sound-bite society, and this movement is seeking to challenge that, to slow people down. “All of earth is crammed with heaven. And every bush aflame with God. What do we see each day? Do we see Jesus in the face of others? Do we glimpse anything new in a familiar Bible passage? 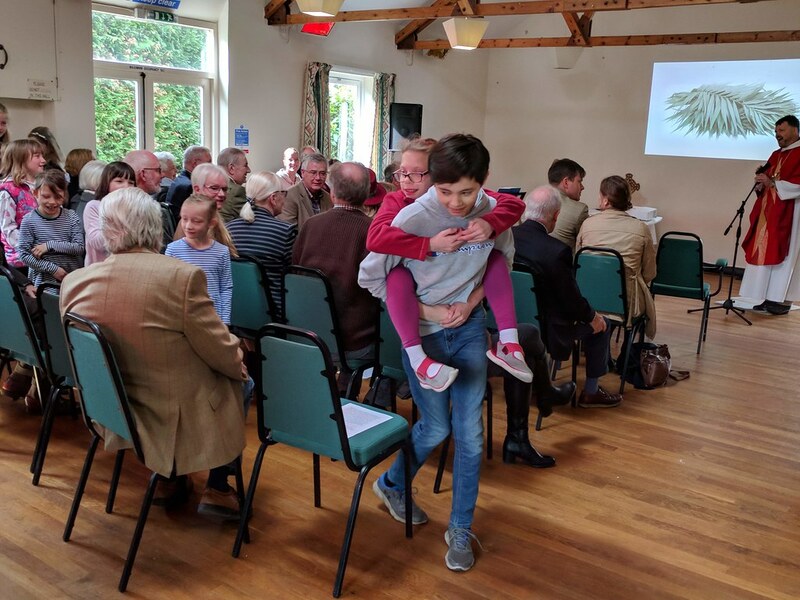 Would we have recognised the Messiah for who he was when he was presented in the temple as the elderly Simeon and Anna did, or would we, like the remainder of those about their business that day, simply not have noticed? Would we have pushed through the crowds to touch the robe of Jesus, or simply passed the throngs by, assuming the rabbi was another rabble-rouser? Do we see, and take off our shoes, because we are on holy ground, or do we miss opportunities because we don’t look slowly enough? 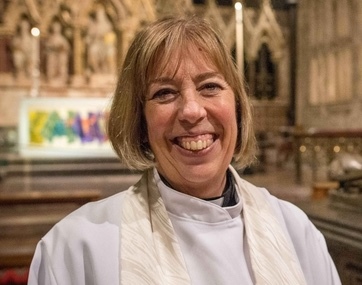 Do we take time to make discoveries which bring us joy and make us love God more? 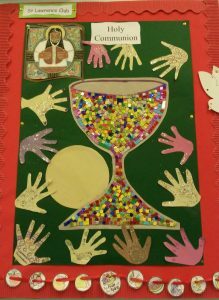 Lent is an opportunity to embrace the discipline of slow, that we might see “God’s glory displayed in the face of Christ.” (2 Cor 4:6) We might choose to take in some slow art too! 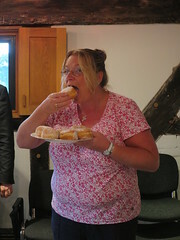 The annual Pound the Bounds event in aid of Midlands Air Ambulance Charity is returning Sunday 5th May 2019 in Rock, Worcestershire. 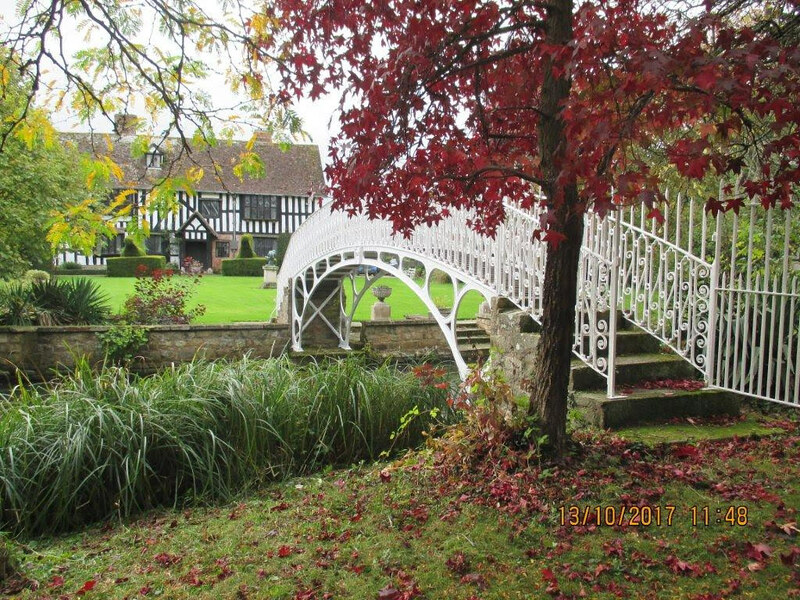 Getting involved in the fun outdoor event not only raises money for the lifesaving charity, it offers participants glorious views of the Worcestershire countryside as they stroll, walk or even run one of the many routes. 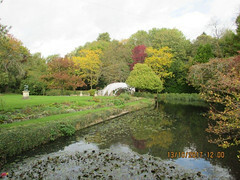 The event first took place in May 2000. 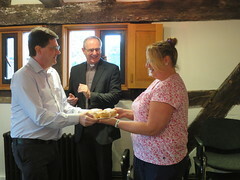 Since then, each year has seen an increase in attendees, resulting in more money being raised for Midlands Air Ambulance Charity. 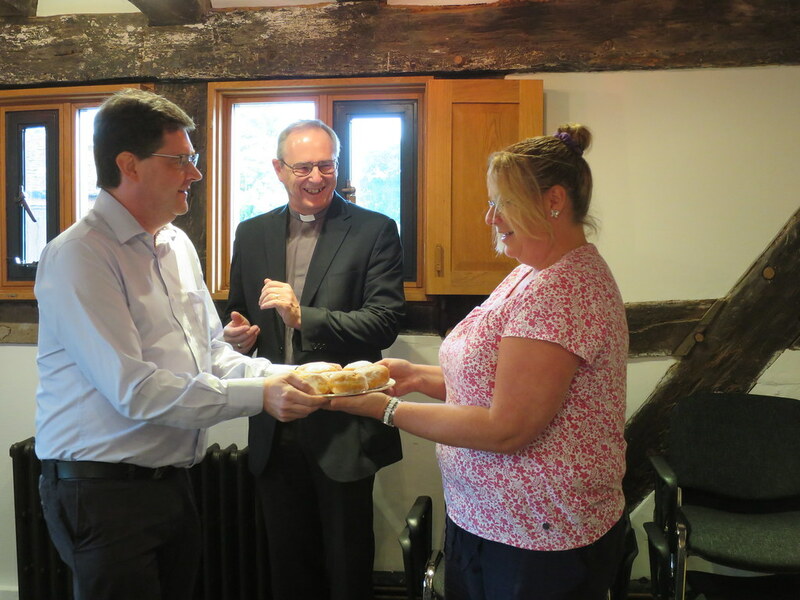 In 2018, £9,376 was raised in total for the charity. Michelle McCracken, Worcestershire fundraising executive for Midlands Air Ambulance Charity, said: “Anybody can get involved with Pound the Bounds. 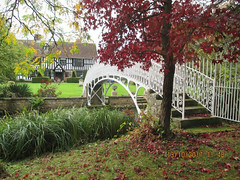 There are routes more suitable for young children, such as the Family Treasure Trail, which is a three-mile adventure. In comparison, there is the magnificent marathon style 26-mile hike. 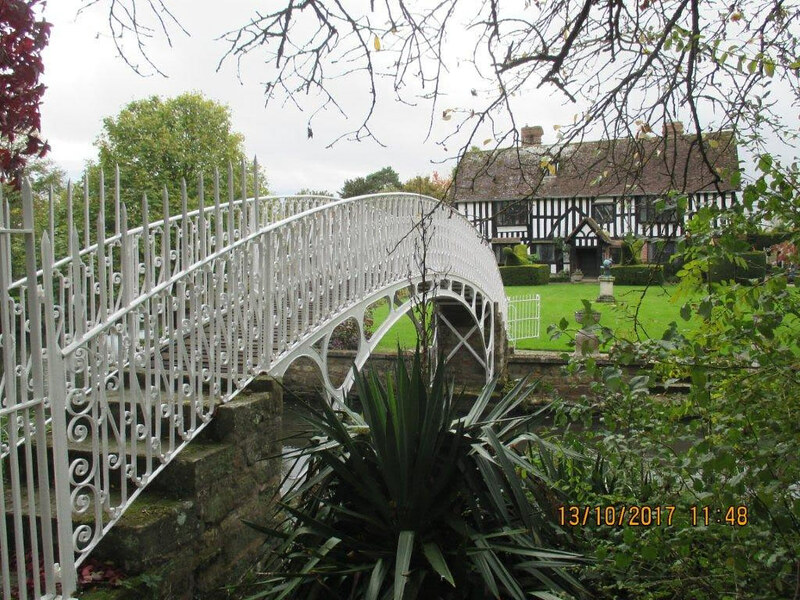 Participation prices vary from £3 – £8, depending on your chosen route; the family treasure trail, independent or guided six-mile walk, half marathon route, 18 miles around the Wyre Forest, or the full marathon. More details about purchasing tickets will be made available in due course. Refreshments are available for purchase throughout the day. For more information about Midlands Air Ambulance Charity, visit midlandsairambulance.com and follow the organisation on social media. 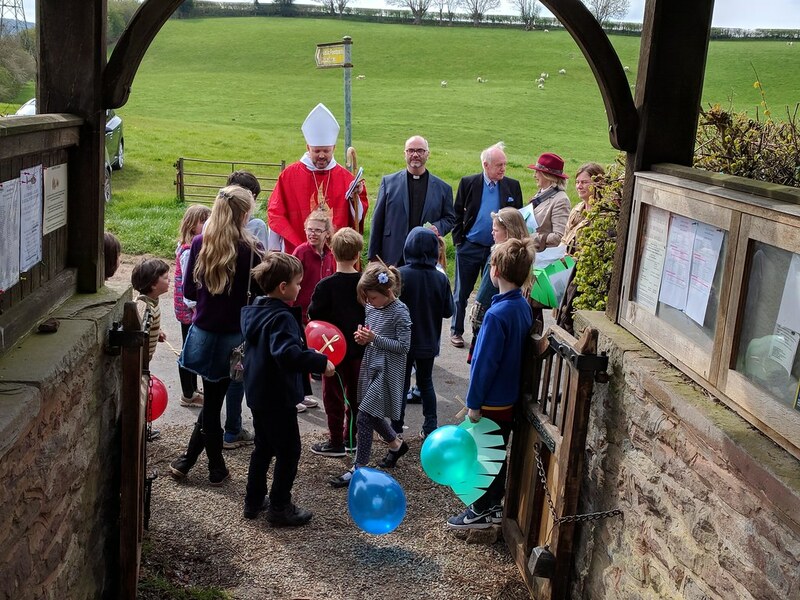 All surplus from the Tote goes to the Churches in Teme Valley North and Teme Valley South – last year this amounted to over £3,000. A new series starts in April and we will be collecting your subscriptions in March. 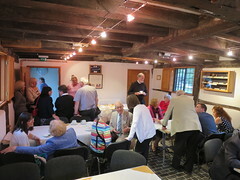 Each ticket costs £10 and enters you in each of the twelve months’ draw. There are three prizes each month (£50, £30 and £20). You are able to have as many tickets as you wish. 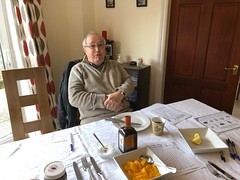 Often people buy a ticket for each member of their family. A number of people pay by Standing Order – if you are one, we will check that your payment is received and will only come back to you if there is a problem. If you are not already a subscriber, please contact your local co-ordinator. If you have any queries about the Tote, please contact Robin Dean (Tote Organiser) on 01886 853 295 or at robin.c.dean@gmail.com. I wanted to say a huge thank you to all who have supported me through my Reader training – I have been overwhelmed by the kind words of encouragement and people’s prayers and appreciated seeing so many of you at my licensing; representing the different churches across the deanery. 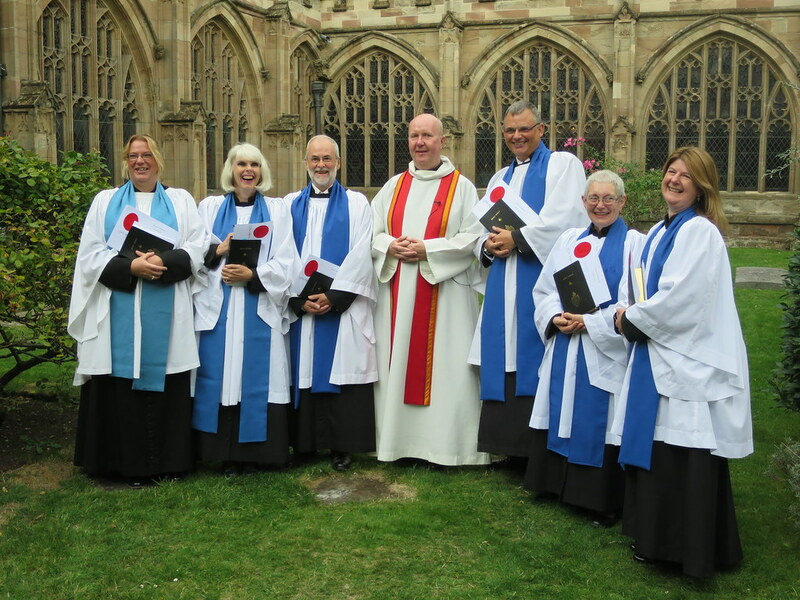 It really has been a joy being with you the last five years and getting to know you and I look forward to the years ahead as Stourport Deanery’s Mission Developer and Reader. 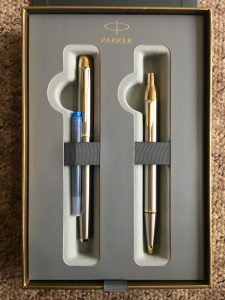 I also want to say thank you for my lovely gifts (pictures attached): the Parker Pen set was a gift from the deanery, it is ages since I have written with anything other than cheap pens so I’m really looking forward to using them. 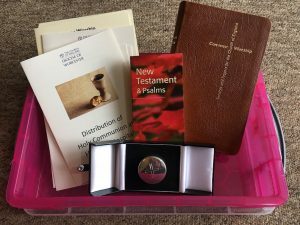 The 4Rivers (Shrawley, Witleys, Abberley & TVN) gave me a Home Communion Kit which I will also cherish and hopefully put into use sometime soon. 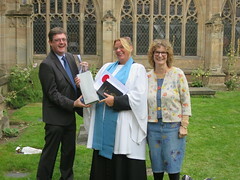 I also received a very nice leather Bible from the Diocese. 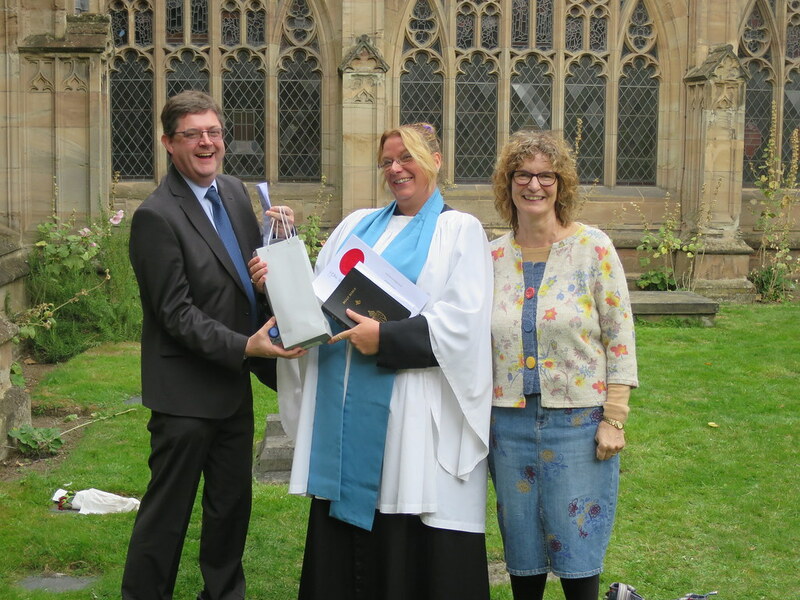 On 15th September, in Worcester Cathedral, Vikki Day was licensed as a Reader to Stourport Deanery. 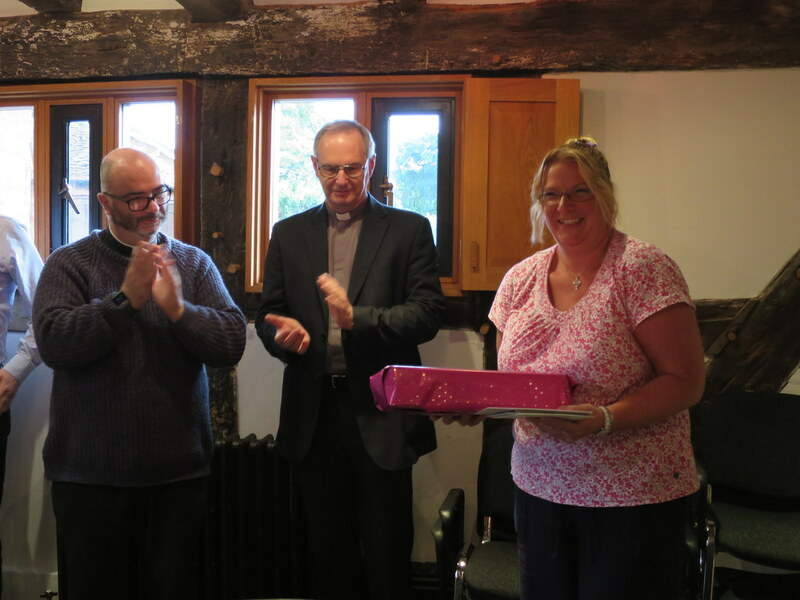 There was a celebration afterwards at Church House in Areley Kings where Rev Ted presented her with a Home Communion Kit in a bright pink box. 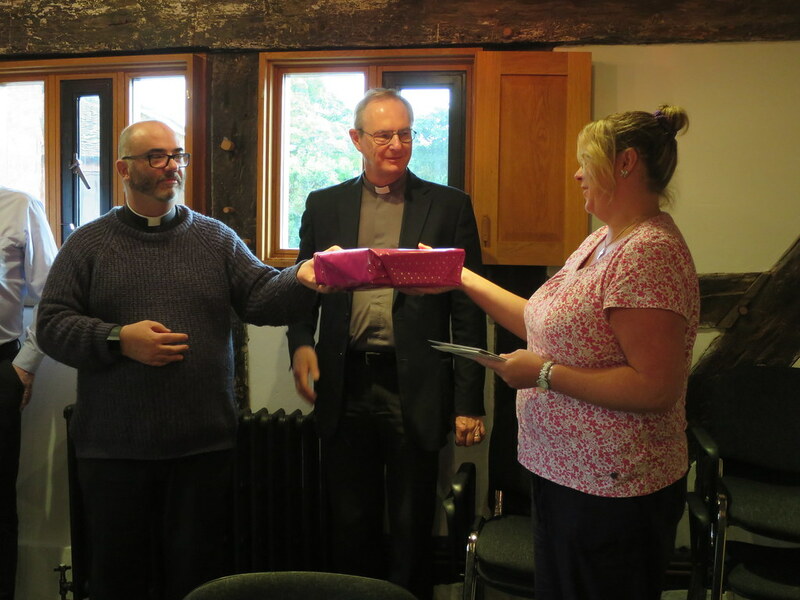 Rev Mark Turner, Rural Dean, also made a presentation on behalf of the Deanery. Our weekly lunchtime and after school clubs run each Thursday during term time, and are open to all ages & classes, from Reception through to Year 6. 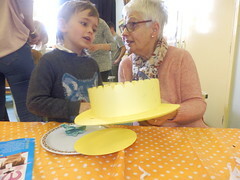 We’ve had a busy year, celebrating many different occasions, enjoying stories, games, song, dance, praise, creative prayer and craft activities. 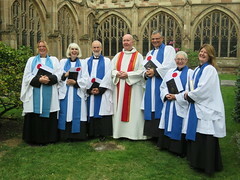 This term we have been learning British Sign Language through song and prayer, which has been thoroughly enjoyed by all. 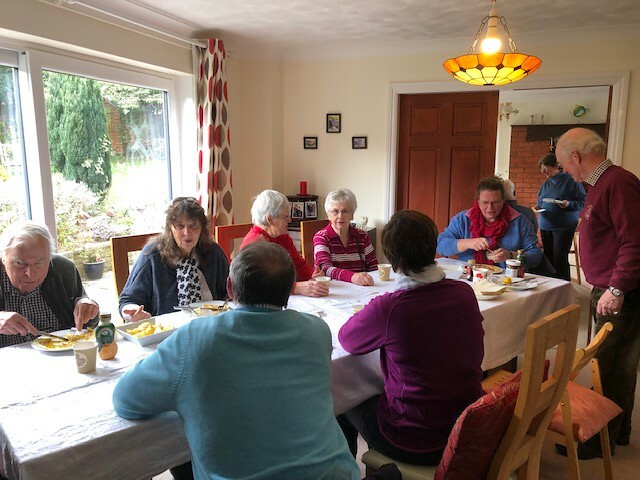 We explored many topics, including “All of God’s People in the Community.” Not only those in our church congregations but outside the church walls to people in our local community and beyond. As well as celebrating today’s Saints; those who care for us and shape our lives; i.e. 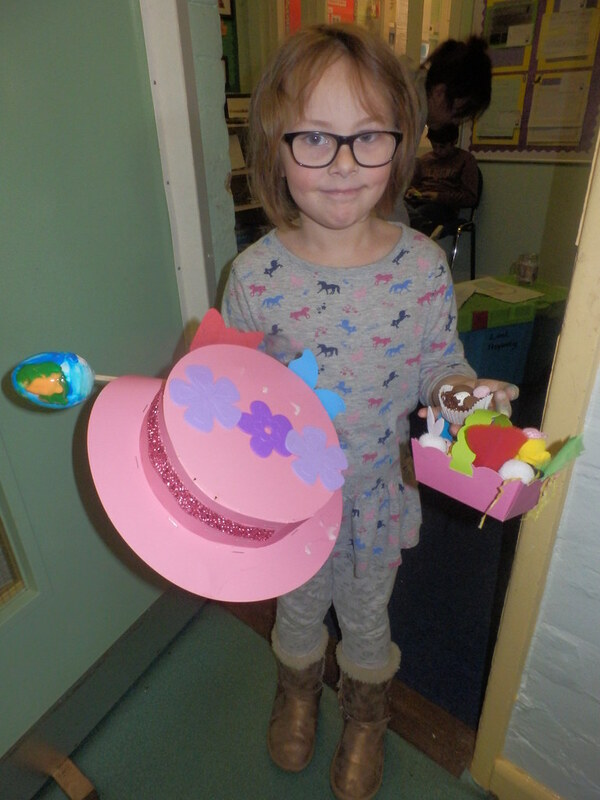 families, teachers, doctors, nurses, and the emergency services, we talked about some unusual occupations such as “Pet Food Tasters” and “Water-slide Testers!” There are some great jobs out there we didn’t know existed! 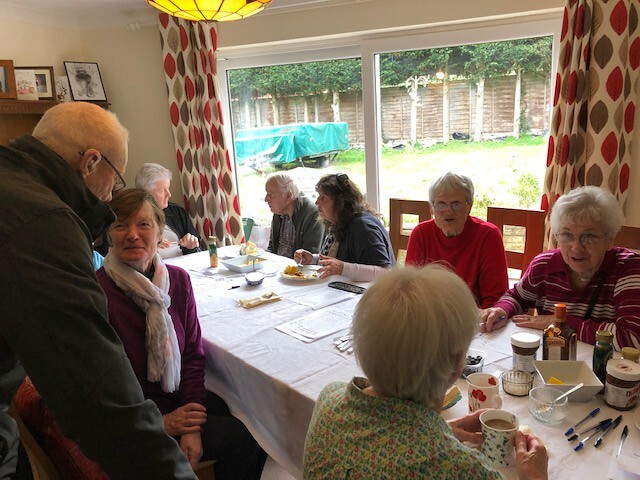 We considered those in our local communities whose work often goes unrecognised, such as those at home caring for loved ones. 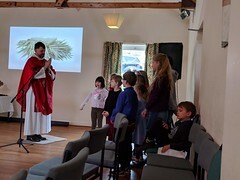 The children were introduced to the meaning of the Eucharist and Communion Services in church, when we remember the events of the Passover Supper. The children had fun taking part in a ‘special communion’ with Reverend Sallie, where we acted out the last meal that Jesus had with his disciples, and learnt about the chalice and paten and what they are used for. Special thanks go to all of our volunteers for their help and support at both lunch time and after school clubs. 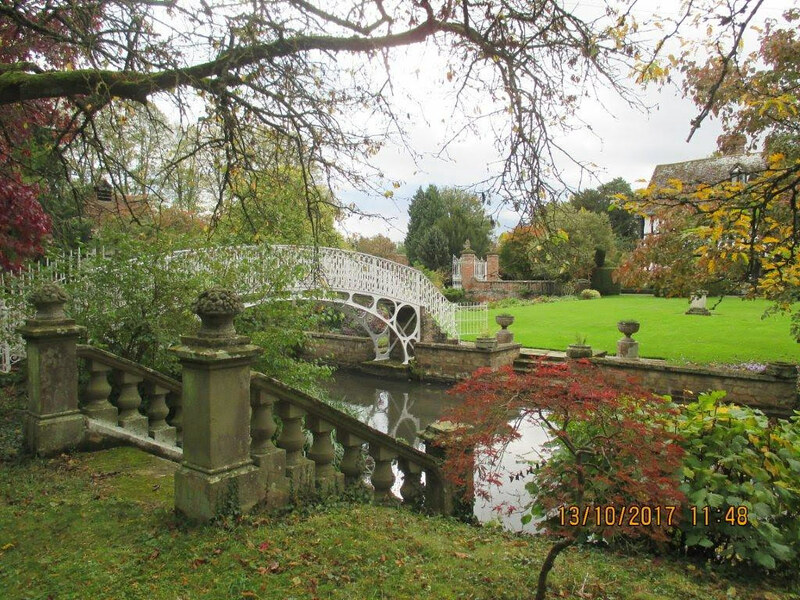 We look forward to meeting once again during the autumn term. 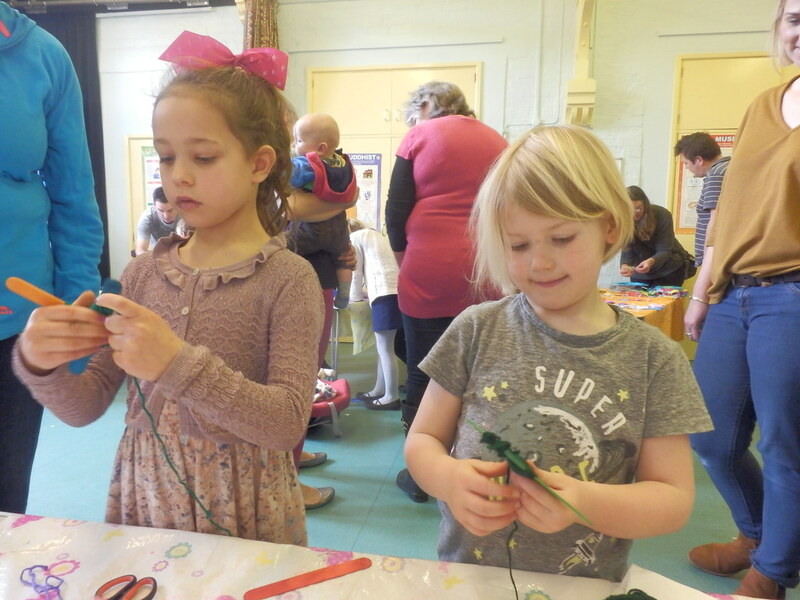 The Lindridge Baby and Toddler Group is a church-run baby and toddler group that meets at Lindridge Parish Hall each Thursday morning during term time – from 9.30 am to 11 am. 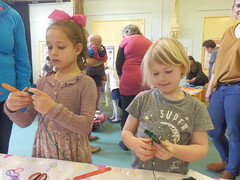 If you have children between 0 and 5 years, please do come and join us for fun activities and to make some new friends. 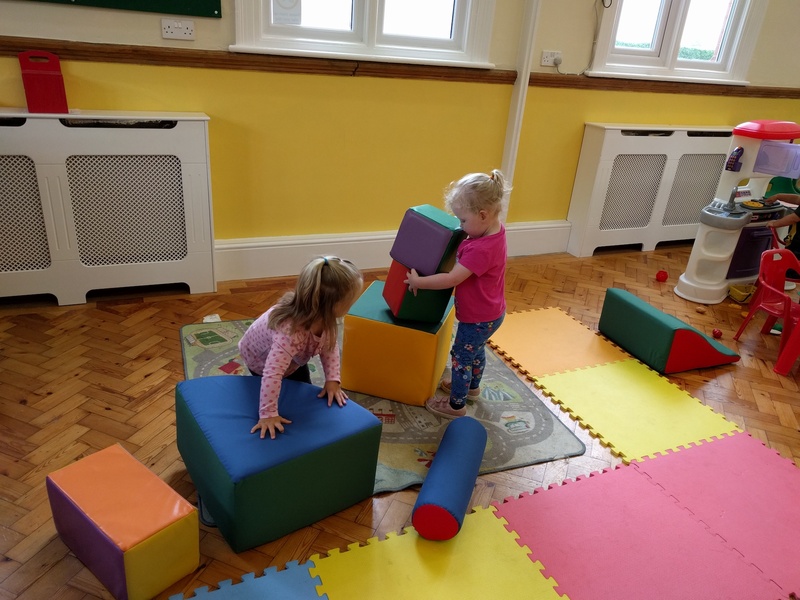 Recent activities include the soft blocks, which were very much enjoyed as can be seen in the pictures below. 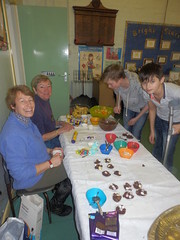 We have also enjoyed planting sunflowers to be taken and shown at the Eastham Fete. Our current term finishes on Thursday 19th July; we then have a break and resume in September. There is a charge of £1.50 for each family for each session attended. 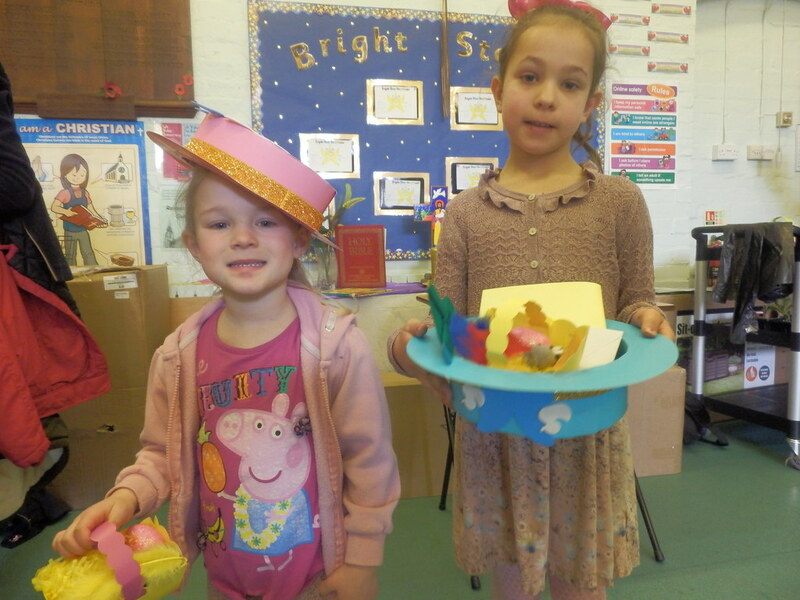 If you have any questions, please contact Vickie at lindridgetoddlers@gmail.com or 01584 881 086. 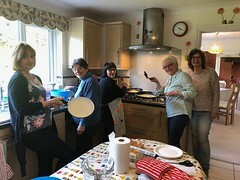 Come and enjoy time together – no need to book, just come along! Many children, parents, carers and volunteer helpers came together at St Lawrence Lindridge Primary School for this, our annual children’s Easter craft session. In addition to Easter Gardens, many seasonal crafts were on offer for all to enjoy, and delicious refreshments were served throughout the morning. Thank you to everyone involved for your help during the session, and for making this event so enjoyable. 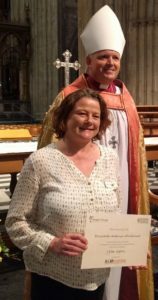 We would like to thank all families at St Lawrence Lindridge Primary School for their generous support in fundraising for the Children’s Society during November in preparation for our Christingle celebrations. We managed to raise a fantastic £87 which helps further the charities work with underprivileged children. On Saturday 9th December, children, parents, carers and volunteer helpers gathered at St Lawrence Lindridge Primary School for this annual celebration. 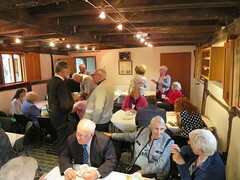 A great social event with the community coming together (in spite of the weather! ), as we prepared for the festive season ahead. 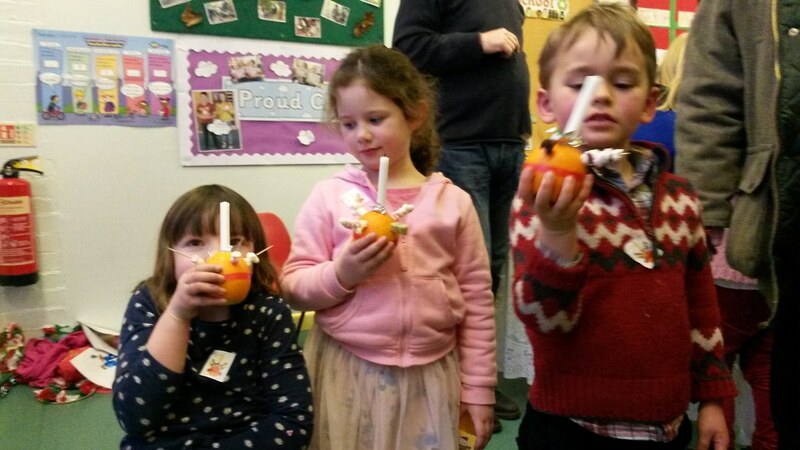 As well as preparing and talking about the symbolic meaning of the Christingle, many other crafts were on offer for all to enjoy, including wreath decorating, Nativity lanterns, stencil painting, snowflakes, crackers, Christmas cards, scratch art, and much more. 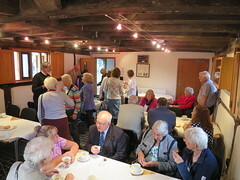 Delicious refreshments were served throughout the afternoon. We gathered for our Christingle Praise led by Reverend Ted Whittaker, with song, dance, prayer, reflection and poem. 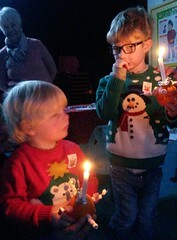 Lights were dimmed and candles lit, as we passed the light of Christ on to our families, neighbours and friends. Thank you for all your generosity and kind donations received in the collection candles distributed to all school families during November. All monies are handed on to the Children’s Society to further their work with underprivileged children. Total sum collected will be reported shortly. 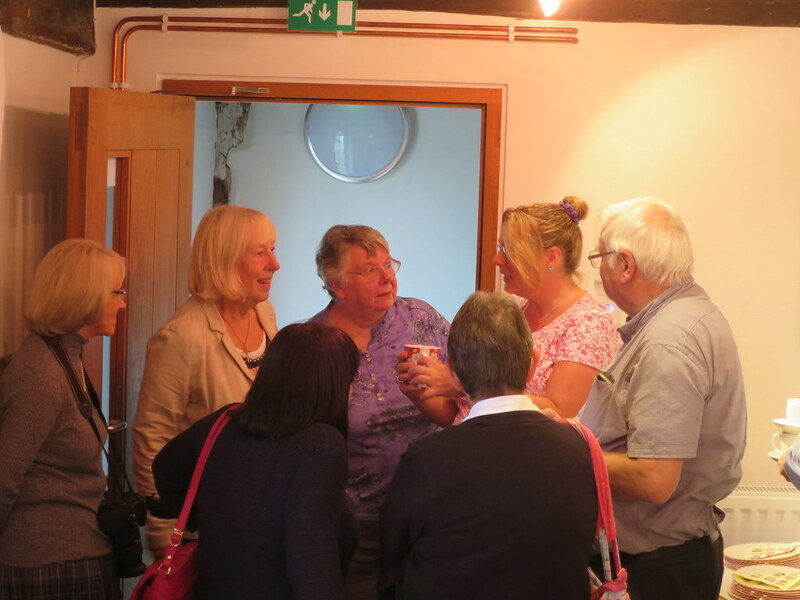 Thank you also to all those involved helping in so many different ways during the afternoon, making this event so successful. 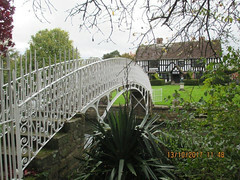 Do you remember this Bridge? It spanned the A443 in Eardiston up until the 1960s and connected Eardiston House to the Pleasure Gardens on the opposite side of the road. 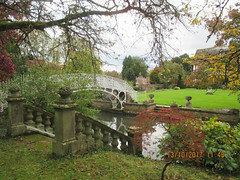 The locals of the day claimed that Princess Victoria once walked across the bridge to play a game of tennis. 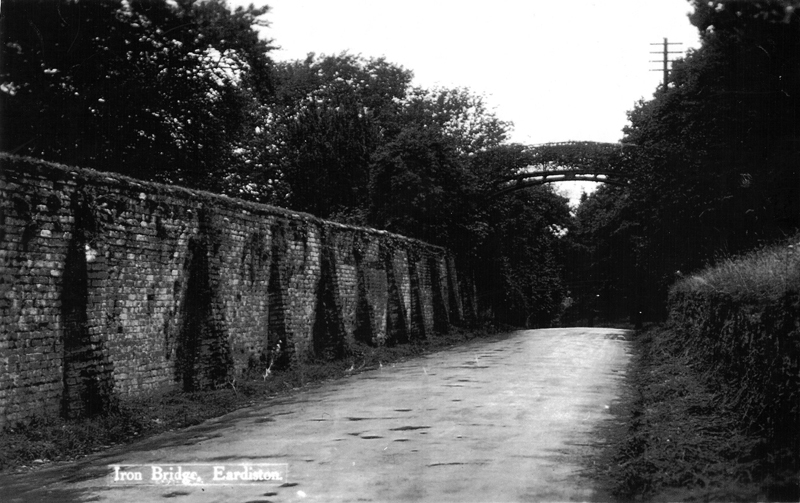 Since that day the bridge had fallen into disrepair and was also in the way of new road widening schemes. After much deliberation, it was purchased by a Dr D.H. Edmundson and transported to Huddington Court just outside Droitwich. 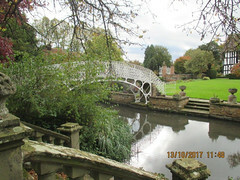 It was re-erected as a feature spanning the moat around Huddington Court where it still stands today. 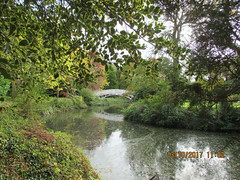 Very recently Mr Edmundson, grandson of the former, also of Huddington Court, contacted TVN about the history of the bridge and as a result, Janet Marks and I were invited to visit the bridge in its new home. 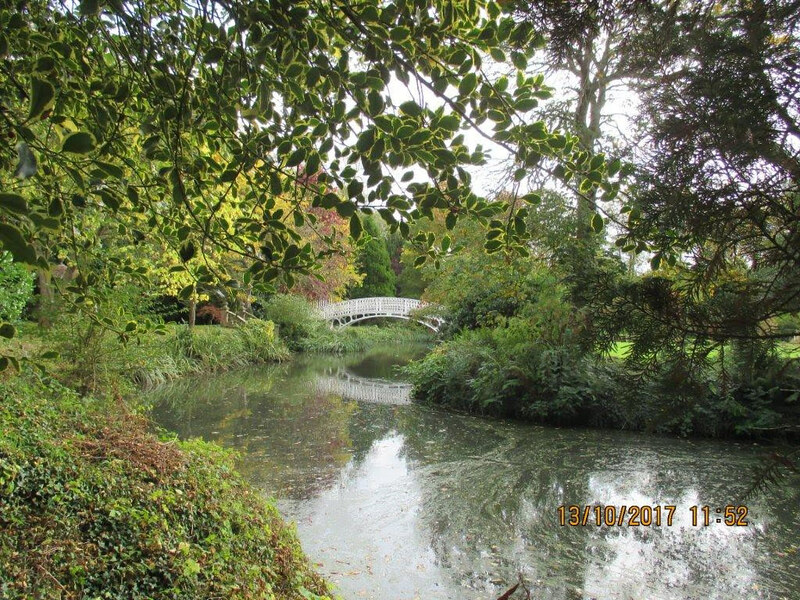 It was a perfect autumn day when we went to Huddington Court, a beautiful 15th Century Manor House surrounded by lovely gardens and a moat, and there, in a new coat of gleaming white paint was Eardiston Bridge. We couldn’t resist the invitation to walk over the bridge and stand for a while thinking of its history and Janet shared some of her memories of its time in Eardiston. 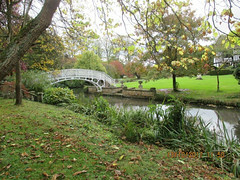 Below are some of the photos we took. Do you have any stories of Eardiston bridge or any old photos? We would love to share them, please contact the webmaster who will put you in touch with either Janet or myself. 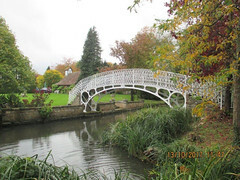 You can find an article on the history of the footbridge written by Derek Marks here. 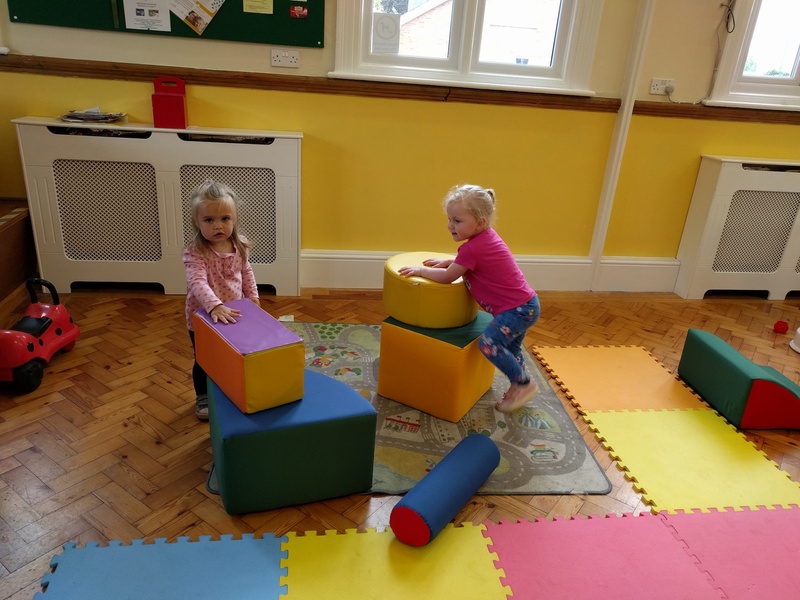 The Lindridge Baby and Toddler Group is a church-run baby and toddler group that meets at Lindridge Parish Hall each Thursday morning during term time from 9.30 am to 11 am. 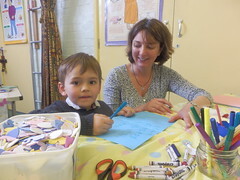 If you have children between 0 and 5 years, please do come and join us for fun activities and to make some new friends. 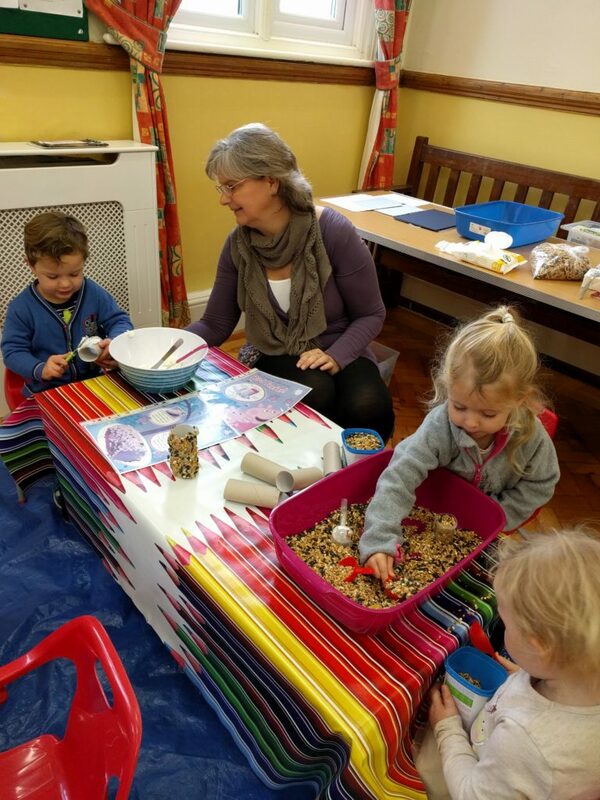 Thanks to Nicky, the children recently enjoyed making bird feeders by covering paper tubes with lard (you can also use peanut butter) and rolling them in birdseed. The tray of birdseed had entertainment value of its own as the children used it to fill containers, and decorate the floor! 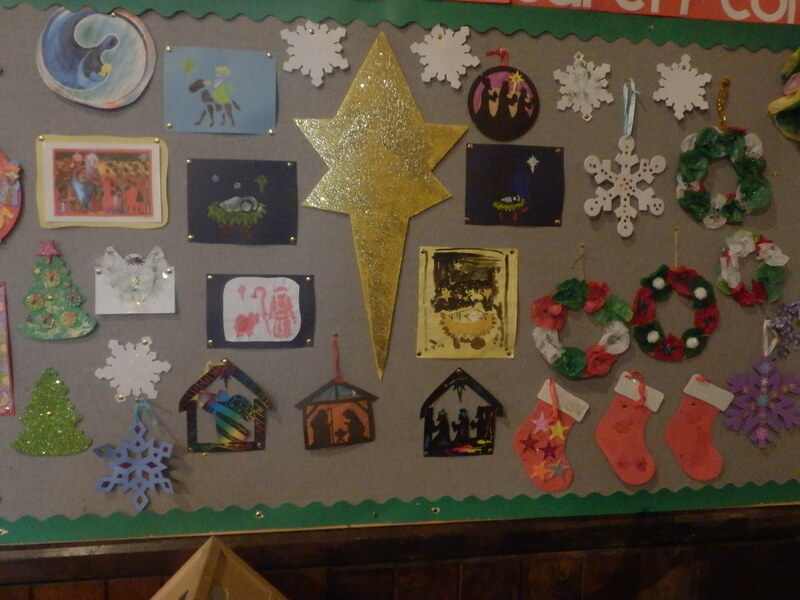 There will be the usual Christmas crafts in December and our special visitor; please do come and join us. 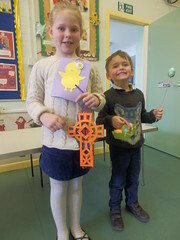 There is a charge of £1.50 for each family for each session attended. 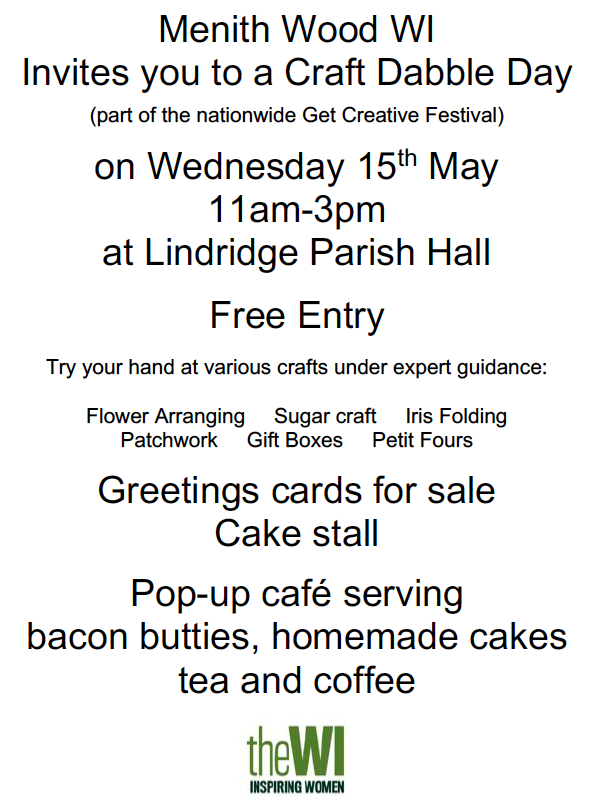 If you have any questions, please contact Vickie at lindridgetoddlers@gmail.com or 01584 881 086. The last session in December will be Thursday 14th and we return in the new year on Thursday 4th January 2018. Come and enjoy some fun and fellowship – no need to book, just come along! Pensax Thrift Shop will close its doors for the winter break at 11am on Wednesday 6 December. We would be very grateful if customers could collect any of their remaining items by this date as we are unable to store anything over the winter. Thank you to our volunteers for their hard work over the year and to all our customers for their continued support. Even after over forty years of trading, Pensax Thrift Shop continues to offer a local outlet for you to sell those no-longer-needed items – and you never know what useful and unexpected bargains you may find in any of its departments! May we wish everyone a Happy Christmas and we look forward to seeing you when we re-open for our 2018 season on Wednesday 7 March at 9am. 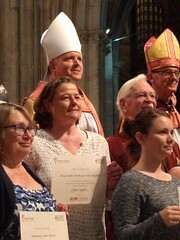 On Sunday 10th September, Liz Whitehead was awarded her ALM Certificate as a Pastoral Worker by Bishop John at the Celebration of Authorised Lay Ministry in the Cathedral. 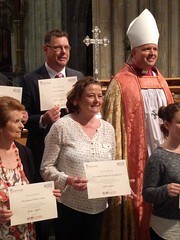 She is pictured here with Bishop Graham. Liz will be Authorised at a local service soon.